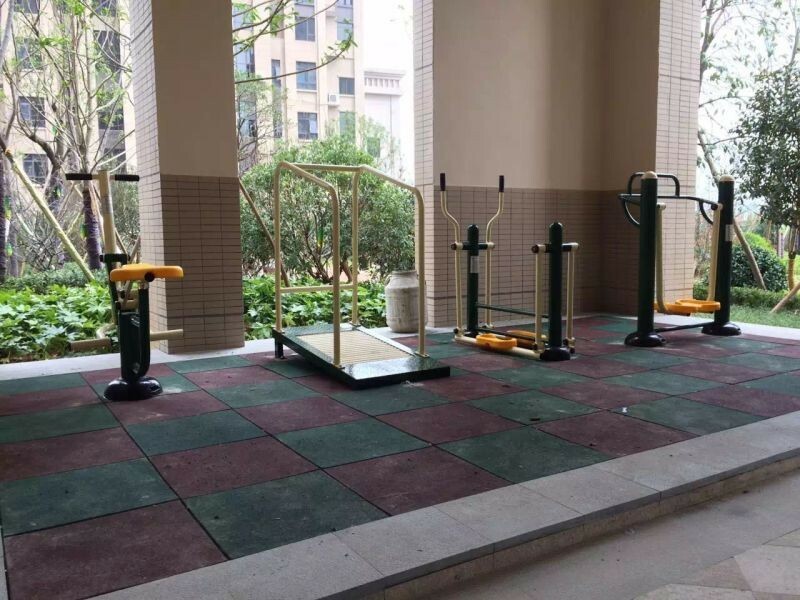 Outdoor Fitness Equipment - Fitness Equipment BH14404 - Wenzhou Baihe Fitness Equipments Co., Ltd. 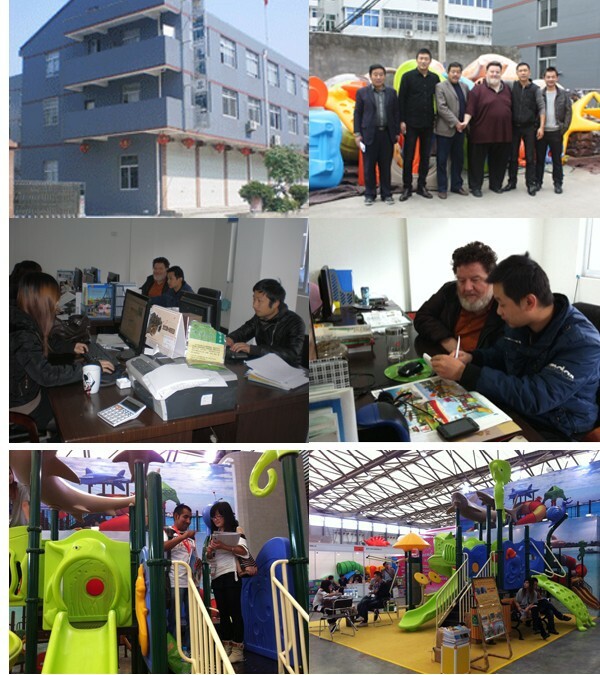 Established in 2004, and located in China Education Toy Capital-Wenzhou Qiaoxia, which is a profession manufacturer setting of the production design, research & development and the sale. 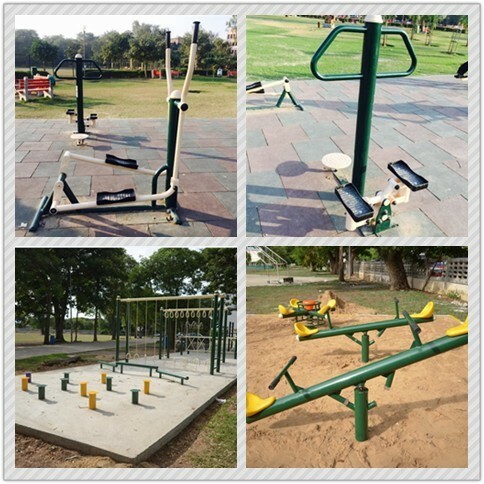 Our company has 9 years rich experience of production, operated production independently: outdoor large combined slide, fitness equipment, naughty castle, park bench, dustbin, flower bed, desktop toys, etc. More than ten series and more than 1500 specieds! 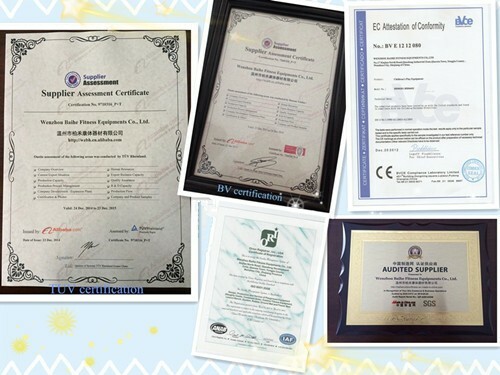 With years of export experience along with excellent quality, advanced services and competitive prices, Baihe has won numerous customers' trust and support.With years of export experience along with excellent quality, advanced services and competitive prices, Baihe has won numerous customers' trust and support. With Ø 114 mm and thickness of 2.2 mm steel tube (to pipe quality which conform to the BS1387-1985 standard requirement, technical standards comply with the BS1387-1985 requirements), welding adopts argon arc welding and CO2 shielded welding (accord with GB/T8810-1995 requirements), whole processing molding the professional technology personnel after galvanized and PaoSha processing, surface spraying the United States again dupont outdoor environmental protection polyester powder bead light, high temperature curing, smooth surface, ultraviolet light resistance, and a strong ability of bright color, is not easy to fall off, corrosion resistance; Spraying equipment USES the computer control of south Korean import electrostatic powder spraying device, powder recovering the small whirlwind and import filter heart, and high efficiency, no pollution. The thickness of 2.5 mm cold rolled steel plate punching forming, punching for 8 mm in diameter (accord with the European Union EN1176 standard),, welding adopts argon arc welding and CO2 shielded welding (accord with GB/T8810-1995 requirements), platform carrying capacity is strong in line with the European Union EN1176 standard). Imported from South Korea henan petrochemical company 644 roll-plastic special material roll into the shape, in line with the GB/T 4454-1996 requirements, plastic 6 mm thick wall above, colour is gorgeous, resistance to ultraviolet (UV) ability to 8 level, in line with the Australian food grade standards, antistatic ability strong, safe environmental protection, weather resistance, high strength. 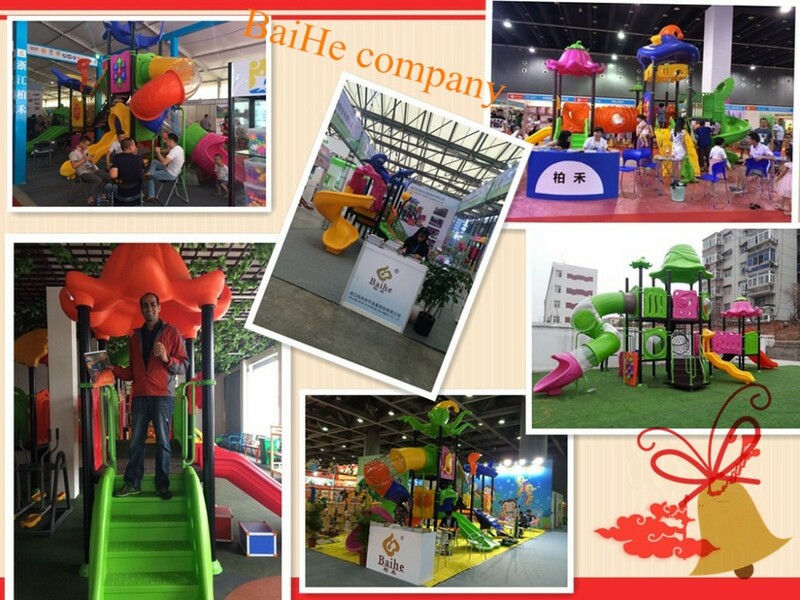 If you have any enquiry about quotation or cooperation, please feel free to email us at sales@baihetoys.com or use the following enquiry form. Our sales representative will contact you within 24 hours. Thank you for your interest in our products. 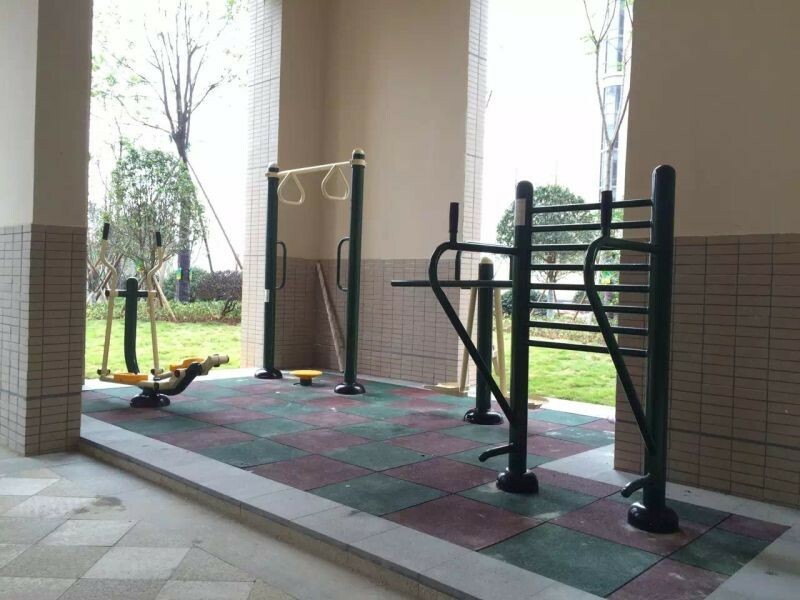 No.17 Xinjian North Road,Qiaodong Industrial Zone,Qiaoxia Town,Yongjia County,Wenzhou City,Zhejiang ,China.